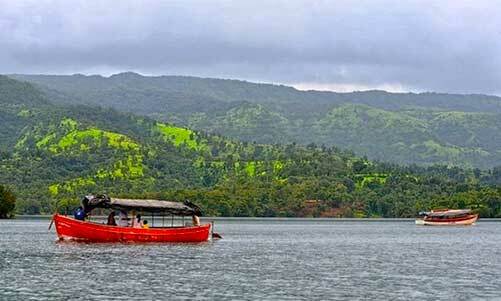 Day 1: Departure from Pune to Kaas. Breakfast at Sarola.Arrival at Kaas.Kaas plateau is located near Satara. 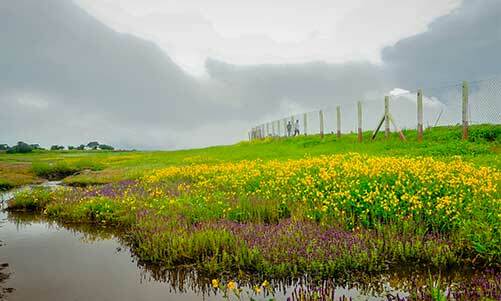 It is situated high hill plateau and grasslands turn into a 'Valley of flowers' during monsoon season, particularly from August to early October. 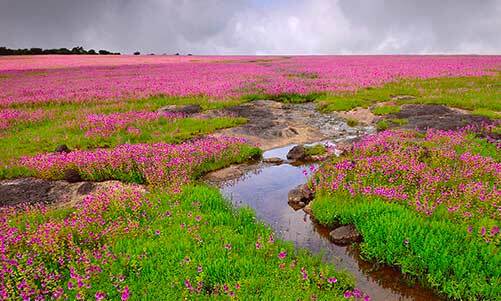 Kaas Plateau has more than 150 or more types of flowers, shrubs and grasses. 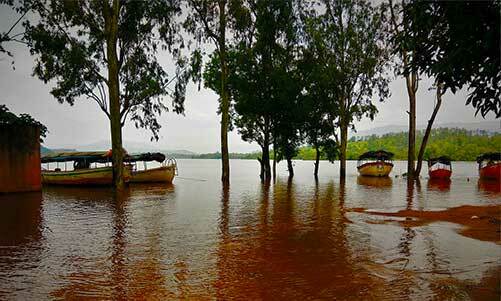 Full day at Kaas.Lunch at Kaas.Evening visit Kaas Lake.Overnight stay at Kaas. Day 2: After breakfast proceed to Bamnoli. 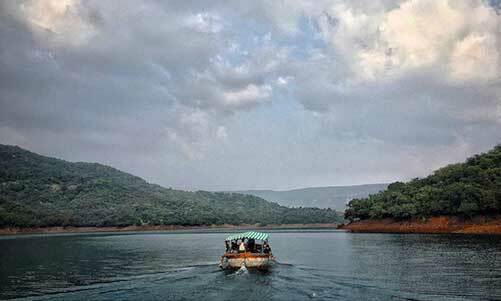 Explore a Flora & Fauna of Koyna Tiger Project. Return to Kaas. Lunch at Kaas. 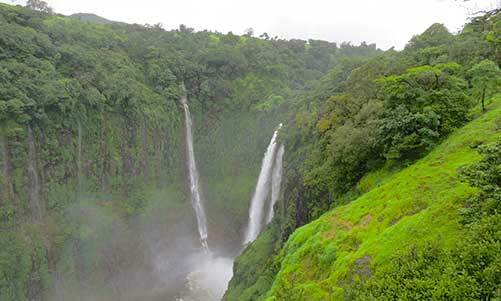 Proceed to Thoseghar Waterfall. 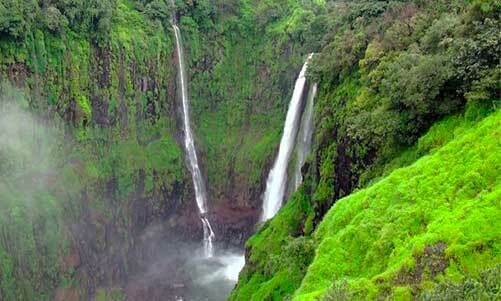 Enjoy the breathtaking view of the waterfall and return to Pune. Evening arrival at Pune.